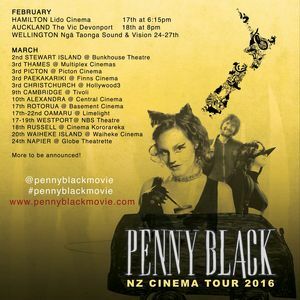 Mayall, Jeremy Mark and Hitchcock, Joe (2016) Penny Black - Multiplex Cinemas. February 2016. 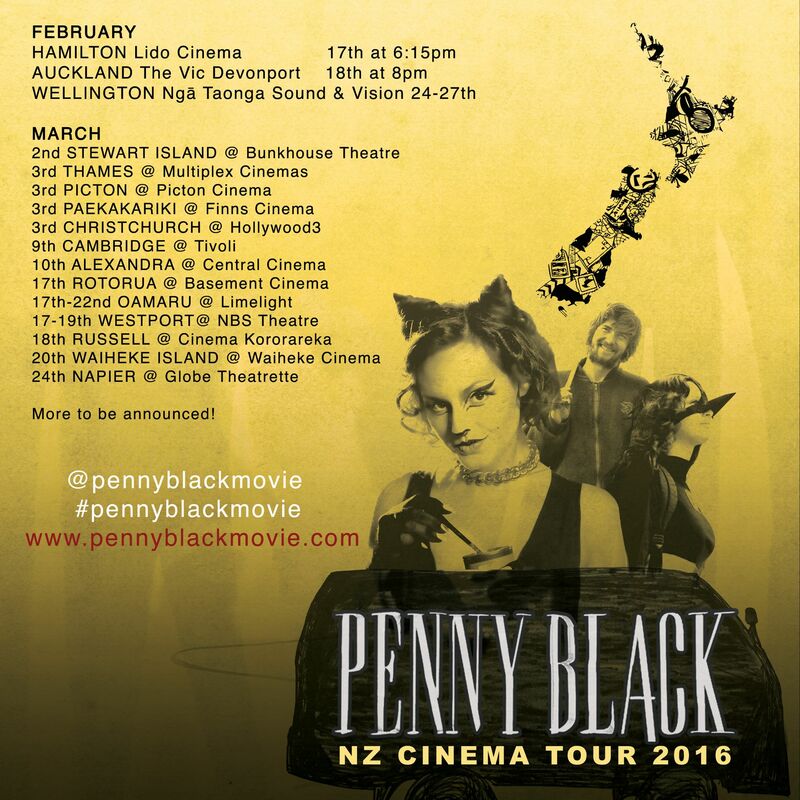 Self-centered twenty-something Penny Black (Astra McLaren) travels down the North Island of New Zealand in an attempt to save her job and opulent lifestyle. Along the way she meets a guy name Guy (Anton Tennet); who makes her slow her down and question how the world works.